Specializing in the conversion of Sony mirror less cameras to monochrome (B&W) by removing the Color Filter Array (CFA) from the digital sensor, also known as sensor de-bayering. I can also convert these cameras to be sensitive to IR light, either Full Spectrum, or at a given wavelength of your choice. I am proud to now offer conversion services for the Sony Mark II and Mark III series of cameras. I have converted both the a7R II, and the a7R III to monochrome. Sample images can be seen in the sample galleries menu above. I have also converted the RX1 series of cameras as well. 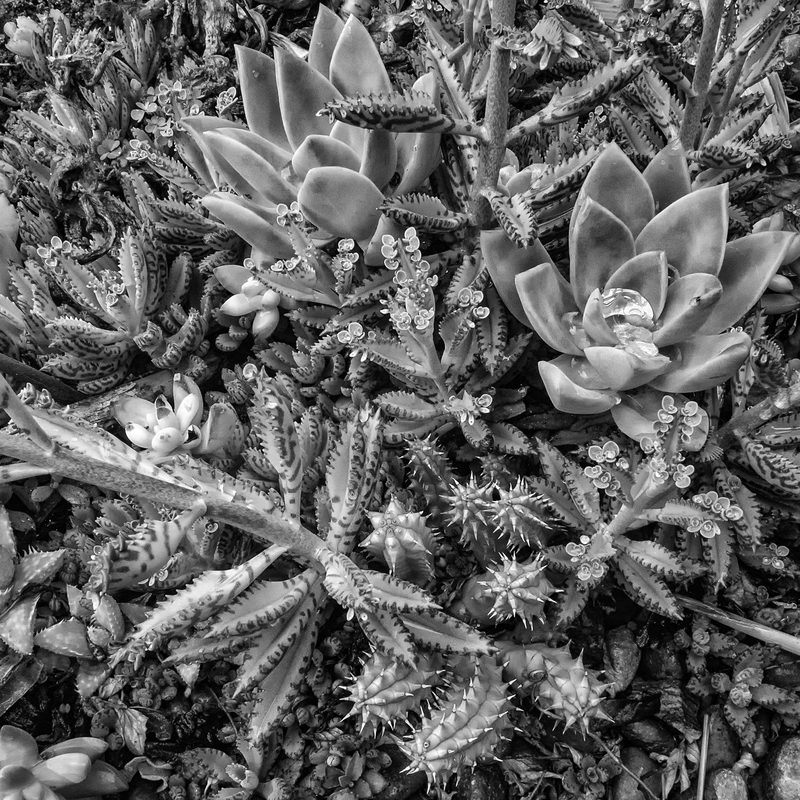 Considering the Leica Monochrome? Don’t want to pay the heavy price? Consider this conversion as an alternative. You can use Leica lenses on these Sony cameras, and virtually any lens ever made will adapt. I call this the poor man’s Leica Monochrome. Please look through the Galleries and the Technical section to learn how well the conversion works. 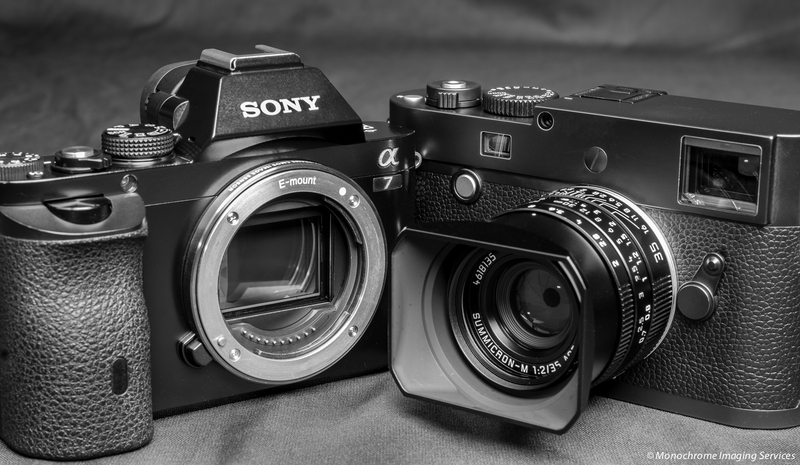 What are the benefits you should expect from using a converted camera? Please note: the only minus you can expect from a conversion is that the Phase Detect AF no longer functions on the models that have that feature. But the Contrast Detect AF does continue to work. All other features continue to function as expected, such as focus peaking, the zebra function etc. I convert APS-C and full-frame sensors of all resolutions. 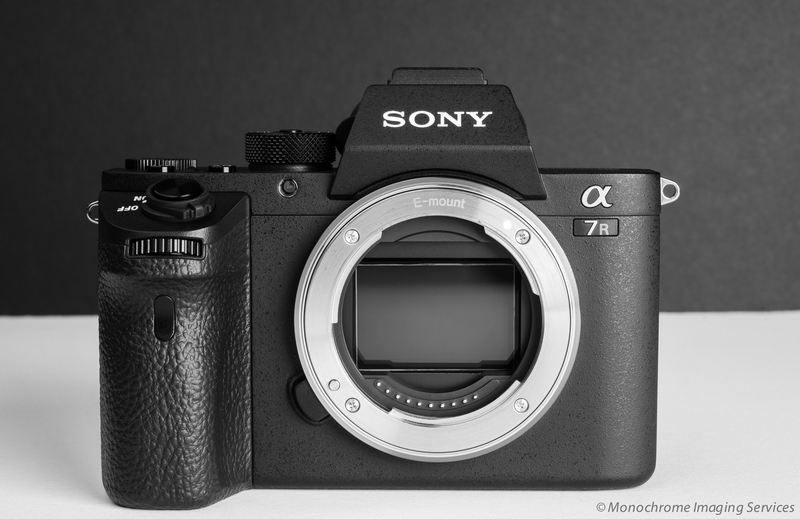 My recommended conversion is of the Sony a7R II. This model best mimics film’s tonal transitions with its high resolution 42.4 MP full-frame sensor. Want something that will do well in low light? go with the S model, or the a7 III. I have successfully converted the Panasonic Lumix DMC-G6. If you would like to convert something other than a Sony, please see this page for more details about the process. NOTE: All prices now include the AR coated protective cover glass over the sensor. Fused silica glass for UV photography available for $60 extra. All content on this website are owned by Monochrome Imaging Services, or the credited photographer, and may not be used unless consent is given.